The Great British Housing Sell-off RT — Renegade Inc.
Today there is no more controversial issue in Britain than housing. Depending on when and where you were born, you’ve either been lucky, disadvantaged or plain dispossessed. It’s become the ultimate postcode lottery. Applying ‘free market’ economic principles, successive UK governments have gradually privatized social housing stock and marginalized those who can least afford it. 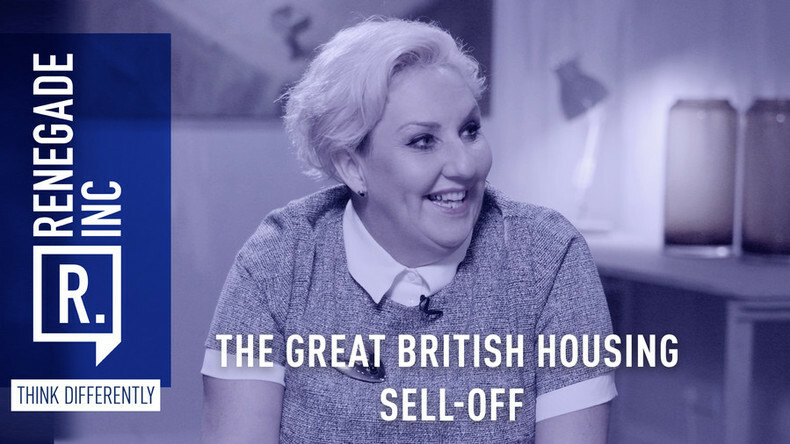 So on this week’s show we ask how as a nation we got into this mess and where next for the Great British Housing Sell-Off? Host Ross Ashcroft talks with the author and sociologist Lisa Mackenzie and the filmmaker Paul Sng who, earlier this year, released his film "Dispossession – The Great Social Housing Swindle".